June 22nd, 2015 to the Blog Posts page. As I get older, and I see my life progressing, the years literally seem to go by in a blink of the eye. One year ago, almost exactly, I posted about a new job I was starting at a company called zetcom. What a difference a year makes. The position there, while satisfying from an knowledge gaining perspective, always left me wanting more. The reason for this? – I have always longed to be back at a museum – especially an art museum. In San Jose, where I live, there are NOT a lot of options for art museum work. In fact it’s only the San Jose Museum of Art (SJMA) where I used to work years ago. San Francisco is relatively close (50 miles away) and there have been many great possibilities in “the city”, but the commute has made it difficult to apply for any jobs there. People in big cities outside of California, with great transit systems, don’t understand that a commute to SF would easily be 3-4 hours daily roundtrip. Maybe that is normal for some, but I want to see my family every now and then, if I can. For years I have been watching another relatively close art museum (21 miles in Palo Alto) for the right position to be posted, and recently it finally was… and, I was hired for it. Today I am pleased to announce that I will be returning to museum life at the Cantor Art Center, located at Stanford University, in the role of Digital Media Manager. The position closely resembles the one which I had at the San Jose Museum of Art which I loved so much, with one exception – this job has Stanford University and all the incredible resources it provides. I am thrilled to be working with the staff there, along with the students, instructors, departments, etc. Initially, my big focus will be on a redesign of their website with close integration of their permanent collection archive. I’ll also be overseeing their social media channels along with cross department and interdisciplinary digital projects. There will also be some opportunities with in-gallery interactives. Years ago after I had conceived of my position at SJMA and presented it to the director, I felt a tremendous amount of satisfaction that I had found my career in life, or my life’s “calling”. I worked hard at that job and did a lot of work to raise awareness of the museum among it’s peers. My time there was cut too short, however, due to the economic crash of 2008 and a new director that had to make some quick decisions. My sense of purpose and meaning was very strong in my role as Manager of Interactive Technology at SJMA and it made life great. I know there will be some big differences at Stanford, but I’m hoping I can regain some of this “purpose and meaning” again. I am extremely thankful for the opportunities my job at SJMA provided over the years – most notably my time with the amazing people at Toura (now defunct). There will be a lot of adjustments I have to make with this new position versus my last two. For instance, I’ll be commuting for the first time in years. In fact, I’ll be commuting by train which I have never done before, but I admit – I’m kind of looking forward to. I’ll also be away from home where I have worked for the last 5 years – so no more being home for the boys when they arrive home, no more easy pickups (sorry Jen), and not as much cooking, which I love to do. Additionally, while working at home has its benefits, not having direct contact with humans can start taking it’s toll. I’m definitely looking forward to being in a room with people for meetings. Over the coming weeks I’m sure I’ll be directing a lot of questions toward the museum community. I hope you’ll take the time to get back to me on what your museum does or anecdotes you have from your work with museums. I’m looking forward to everything that lies ahead! June 16th, 2014 to the Blog Posts page. Today I’m pleased to announce that I will be joining the team at Zetcom as their Manager of Projects and Implementation in North America and will be working closely with Marcia Finkelstein, their Director of Business Development. Zetcom creates a robust collections management system for museums of all types – from art to archeology to history. I will be fortunate to continue working with many great museums, providing them with incredible customer service, as I was doing in my previous position at Toura. I’m very much looking forward to working with Zetcom and doing some great things. I’m also looking forward to attending conferences again as a Zetcom representative and seeing the many friends I’ve made over the years and lost touch with. This position arrived after several stressful months of unemployment peppered with a lot of reflection, both personal and professional. As some of you may or may not know, Toura ceased operation as of November 2013. It’s intellectual property was acquired in October 2012 by a company in the UK and I was fortunate enough to stay on board to continue with client management. As is sometimes the case in the business world, the company that acquired Toura, was acquired by another company and the new owners shut Toura down rather than put resources into it. So, for the latter half of 2013 I had to work at dismantling everything Toura had built over the prior few years. It was an extremely difficult time for me and I told many people that it felt like committing slow, painful career-suicide. Having just worked for a startup (Toura), I figured I had two career routes I could take – working in a Silicon Valley company or finding something again in the museum world. Initially I opted for focusing on startups and bigger Silicon Valley companies, which proved to be an eye opening experience. I had interviews at Flipboard, TuneIn, Box, Shopkick, Hightail, Bitcasa, Guidebook, Apple, and Facebook. I had discussions with people at Groupon, Apigee, Quixey, Lab126, SurveyMonkey. I had initial phone interviews, onsite interviews and managed to get to several 2nd interviews – I was even told I was the runner up for a few positions. A lot of these positions involved user support and client relations – similar to what I had been doing at Toura. I had great experience, outstanding comments from previous clients on LinkedIn, great references, great interviews that got me to runner up status, but couldn’t turn it into a job despite generating a lot of interest. It was frustrating. What I failed to see was how I had positioned myself over the last 10 years – as a professional in the museum world. Perhaps I had lost touch since Toura had started moving away from it’s focus on museums into other areas. I thought initially that there may be more opportunities with local tech companies, but in the end my marketability was in what could be considered a niche market – the museum tech space. I ultimately learned that this is where my heart was anyway. As a participant in the museum tech community, I am a subscriber to the MCN Listserv. One day, while checking emails, I noticed that sandwiched in the very middle of a long MCN thread was a job listing for a full-time teaching position in the San Francisco State Museum Studies department. They were looking for a candidate that had a very diverse technology background and I thought that I fit the bill. The application process was extensive – 3 letters of reference, Letter of Interest, Teaching Philosophy, complete CV (it ended up being 8 pages) and two writing samples. The time-consuming application process made me reflect on my entire experience in art and museums over the last 15 years. I spoke with museum people I hadn’t talked to in a while, I had to find every article I’ve been mentioned or involved in, I tracked down every project I was a part of – all of which made me long for continuing my work in this world I loved so much. I completely shifted my job search. While the job opportunities became much more limited, I knew that it was the right direction and I felt much more in my element. Working in a museum, or with museums, was absolutely what I wanted again! I came close to the San Francisco State position, being one of four interviewed out of 80+ applicants (from what I hear). I applied for a few registration positions at local museums, but they had been filled already. Then, as luck would have it, LinkedIn (of which I have a love/hate relationship with) ultimately came through, as Marcia from Zetcom noticed I was looking for work. After reaching out to me, the conversations began with Zetcom. Coincidentally, at the same time, I was speaking with another company in the collections management business about a sales position. After months of unemployment I had two job offers in hand. I had been pulling for Zetcom and feel very fortunate to have been made an offer. Obviously, I happily accepted. So, Monday June 16th (today) is my first day working for Zetcom and I am so excited to get back to working again. Job hunting is a painful experience and one I do not want to visit again anytime soon. I’d much rather be putting my life toward something more fulfilling. As mentioned, I’m very much looking forward to getting actively involved again with conferences, presenting, offering my opinions, working on great projects and hopefully start posting entries to my site again. Hope to see you soon! Drop me a note if you’d like! August 19th, 2011 to the Blog Posts page. You’ve spent a great amount of time building an app, thinking through what will make it good and useful. It’s finally time to release it. It gets submitted, goes through the review process (in the case of Apple), and finally goes live. You may think that your work is over, but it doesn’t end there. Invariably, your app is going to receive user reviews. While the hope is they will always be good reviews, you will undoubtedly receive some bad ones along the way. Reviews, in and of themselves are good. You can find out what people like and/or dislike about your application allowing you to make adjustments. However, when you receive a review, especially a bad one, the app markets make it surprisingly difficult to deal with. If your first review is a negative one it can immediately impact sales. It would be great, in a perfect world, to reply directly to the reviewer through the store. In many cases a quick and easy explanation would be all that is needed. However, both the Apple App Store and the Android Market do not allow for two-way communication. If there is a negative review, the app creator is at the mercy of the reviewers. You could login in as yourself with your personal account and give a reply as a review, but you are limited to one review per app. Well, the Android Market does not offer much recourse, but Apple does have some services and policies you can employ. First, you should consider the review and what the reviewer meant. Perhaps the reasons they are stating are valid and you should look at your app and make adjustments based on the review. It’s never wise though to let one person sway you in one direction so look for common similarities between multiple reviews to help inform your decisions to make changes. If the the review is clearly out of touch with the application – let’s say someone states “Not what I was expecting. Only a handful of images.” – Apple offers a “Report a Concern” link. Selecting this link allows you to send a note to Apple to express your disagreement with the comment. You may write something like, “User did not read the description thoroughly. The app contains over 100 images. This review gives a false impression of our app”. While this note goes into the mysterious void known as Apple, it has worked on numerous occasions with a successful removal of the comment. Android, unfortunately does not offer a similar feature. Additionally, Apple offers another feature along with “Report a Concern” – the “Was this review helpful” option. This gives you the choice of “Yes” or “No”. The more “Yes” selections the review receives the higher in the list of reviews it appears being the first ones seen by interested purchasers. The more “No” replies will push the review toward the bottom of the list. Again, the Android Market does not offer a similar functionality. 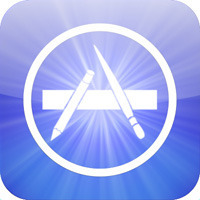 If you want your app to have a clean slate of reviews you can alway resubmit a new and improved version to the Apple App Store. This basically gives you a fresh start since reviews are tied to versions. Android keeps all the reviews for all versions not allowing you to distinguish one from another. So what can you do about Android? There are a few things. YOU CAN DO IT IN ALL CAPS. Both app markets also have the ability to link to a support site of some kind or another and include a link to send an email to you for help. You can create a page on your website that offers troubleshooting tips and suggestions then point the support link to that page. When your app launches It is always a good idea to get the message out to all of your colleagues and friends. Let’s face it, your friends and family are going to be much kinder to you than people you don’t know. It’s also a great opportunity to have them write a favorable review of the application to help with the star ratings average. Additionally, you can solicit reviews via Facebook and Twitter Channels. These followers believe in you and what you are offering. They will certainly let you know what you are doing right. As app creators let’s hope that one day the tools will be there to allow us to immediately respond to reviewers of the apps. Ebay and Yelp have allowed this functionality to give a voice to sellers and business owners. Until that time comes we’ll just have to keep building great apps! March 22nd, 2011 to the Blog Posts page. Part of what I do with Toura is work with clients on what content goes into their mobile applications. In some cases they create the content themselves, in other cases they outsource the creation to content producers. But, sometimes they choose to repurpose existing content that they already have on hand. The following is from a presentation that I gave at the Museum and Mobile online conference on March 22, 2011. When planning a mobile app for your museum you have two options for content. On one side you can create content internally, hiring someone to do it for you or do a combination of the two. On the other side, you can repurpose existing content that you already have at your museum. If you choose to repurpose existing content you may need to make adjustments to it or you may have to fill in the gaps that might cause your app to be incongruous. All of these items can POTENTIALLY be used for your mobile applications, but you need to be cautious when piecing them together into a mobile experience. Look for consistency with the content – does it work together, are the writing styles similar, is the content for children improperly mixed with complex adult content? It’s instances like this where it might be necessary to do some re-writing or re-editing of the content to fill in the gaps or create fluidity. This also requires you to have a specific audience in mind and tailor the content to that audience. The other thing to keep in mind when repurposing content is where the content came from. It could be from a number of different departments in your institution including Marketing, Education, Curatorial, etc. Remember that all these departments have different voices because they are creating content for a specific purpose. Marketing will be selling the museum or collection to the general public, education will be focused on the everyday visitor helping them to understand the collection and exhibitions, and curatorial will be shedding light on different viewpoints and newly discovered facts about objects and their creators. When building your mobile application you should be mindful of whether you intend the app to be used internally at the museum or whether you are trying to reach a global audience who may not be able to visit the physical space. If you do intend it to be internally used you may include directions which take into account the location of the work of art. You may ask in your audio for the visitor to move closer to the work to examine a particular section. If it is intended for external usage, you may include detailed photos to allow the user to focus on particular areas in lieu of being able to move closer to the work. Alternatively, you may wish to construct your app to reach the broadest group possible by making your content work for both groups of people. Image by mpclemens on Flickr. Perhaps the most abundant source of material to repurpose will be text based content. Older institutions have years and years of content that were created for audiences at particular periods of time. Not only will these text save time when building an app, they may also offer a different perspective based on social norms at the time the time they were written. The main thing to keep in mind however is that these texts will also be the most influenced content at your museum. What I mean by this is that specific departments will have written this text for specific purposes other than for use in a mobile tour. It’s important to know when the text will work in a mobile app context and when it won’t. There are some things to remember when considering text in your museums mobile application. If you are focusing on tablet applications your users are going to expect more text. Users are more inclined to use these devices for longer stretches of time while in the comfort of their home or in coffee shops. Users of phone devices are going to expect smaller selections of text since the use of their devices are typically for shorter amount of time, like standing in line at a store or commuting on public transportation. Re-purposing text can result in disparity in app focus so it’s important to look at the content from a mobile perspective when piecing it together. Will they work on a Phone? Will they work for an iPad. Will they work for both? Are there any holes that are going to be needed to be filled or are there re-writes that will need to occur? Some systems may require you to paste the text into a plain text editor to clean off any hidden formatting embedded with it. This is especially important with text taken from Word documents which hides a lot of formatting information that Word uses to render the text. If this hidden formatting is included when pasting text into a mobile platform solution it could wreak havoc with the formatting capabilities of that particular system. Image from DavyRocket on Flickr. Second to Text for most abundant content for re-use are images. Before you start assembling a mobile app or tour, it will be important to track down as many images for potential inclusion. There are many likely sources for these images including: photographs, slides, transparencies and digital images. As you can see from the list there are several of these that might need to be converted to digital format before they could be used with mobile. Additionally you may need to photograph artwork specifically for your app and to fill in any holes. While organizing these image assets it might be beneficial to devise a naming structure to help during the app creating process. The structure can be created for internal usage and it will aid in the assembly of all the various components in your application. There are some things that you should keep in mind when creating images from older source material or pulling from current digital sources. To ensure that your images give the most bang for your buck find ones that will work well for current tablet devices. The size of the iPad screen is 1024 x 768 so you want to shoot for something with a minimum of these dimensions. Even if you do not plan to build out a tablet application, phone screens are becoming more and more higher in resolution. The current iPhone 4 has a screen resolution of 960 x 640 which is not to far off of the current model of iPad previously mentioned. Larger resolutions will allow for better zooming functionality. With screen resolutions constantly being upgraded on newer devices it’s always a good idea to be forward thinking when it comes to your digital image assets. If you can create large resolution images these can be sized according to current device specifications. But remember, the larger your images are in your app, the larger the app becomes in size. It’s a delicate balance between supporting resolutions of current devices and keeping the download burden of the user to a minimum. Image by Matt Blaze on Flickr. It is now easier than ever to create your own audio for mobile applications and other uses in your museum. All you need is a laptop and a decent microphone which can plug into it. Most laptops now come with some type of audio editing software that you can utilize to mix down the audio. However, some museums may have pre-exisitng audio that they can utilize as well. These can take the form of previous audio tracks created by a content vendor, interviews of artists at public events, interviews with curators and scripted segments created in-house. With all of these sources it’s important to ensure that you have the rights to use them in your application. The artist or curator may take issue with you using their interviews in a mobile app. Or, if you hired an outside content creator to produce audio segments they may still own the rights to them. In this case, you may actually own the rights to the script that was used and not the actual recordings and you can re-record the audio for use. In any case, do your research and make sure they are OK to use. Also, is it in a format that is compatible with current mobile standards. Most devices allow the use of either .mp3 files or .wav. If they are not in either one of these formats there are a lot of tools available that will allow you to compress your audio into these formats, such as iTunes or Audacity. However, keep in mind the quality too. If you compress an audio file too many times it will start sounding garbled and incoherent. It’s great if you have access to the original files to do the compression. It also allows you the ability to go in and re-edit the tracks if needed as well. Another aspect to consider is whether the audio is an appropriate length for mobile consumption. Following the same user rules as with text – users on tablet devices are more inclined to listen to longer segments of audios than those on their phone device. You may consider offer longer tracks for tablets and breaking them down to smaller “consumable” tracks for phone devices. Are there images that you would like to present in association with the audio? Does the system you are using to build your tour allow for this functionality? Or, do you need to create an “enhanced” audio track that displays images as the audio is playing? Does the audio need to be heard in front of the object in the museum or does it work fine for outside users? Does the audio mesh well with the other content that you are re-purposing in your app. Image by Carbon Arc on Flickr. A lot of the same thoughts around audio also apply to video. Make sure you know the source of existing video and whether or not you have the rights to utilize it or not. Also, make sure it is in a format that is usable on mobile devices. Android and iOS both support .mp4 formats and is currently the easiest way to approach both. If you do not have your videos in this format, like audio there are a lot of tools out there that can help your compress to this particular format. Again, it helps if you have access to the original files to compress them from the source rather than using a source that has been compressed multiple times. Understanding how old the video is is important. If you are using video that was used on a website 10 years ago chances are this video is highly compressed to ensure that was able to be playable on 56k modems. This video is very likely to appear pixelated on current mobile devices and will compromise the users expectations. In cases like this where you do not have access to the originals it’s probably best not to use them. Remember to keep your videos under 3 minutes for phone devices. Videos over 3 minutes tend to be abandoned before the viewer reaches the end. Like with audio, it may be necessary to divide longer videos into shorter digestible segments. As with other asset types, tablet users have different expectations when it comes to videos and can tolerate longer files. Remember though that they are probably not going to sit through an hour long video on their tablet device, although with new features like AirPlay available on iOS where the user can shoot the video to watch on their Apple TV this might change. Another consideration when thinking about video is whether you are going to want it to be streamed over a network connection or whether you want to try and offer it natively on the device. Video tends to be large in size reaching upwards of 50 mb for a good quality 3 minute sample. Having 10 of these stored locally on the device can balloon your app size to 500 mb which is a significant size for the user to download…and this does not even include any images and audio that you have also included! There are ways to circumvent this large file download by offering you video to stream over an available network, but obviously you run into issues if you plan the app to be used onsite and network coverage is limited. As mentioned previously with video assets, deciding on whether your content will be stored natively or streamed over a network is crucial. While text is a negligible hit to the size of your application high resolution image, audio , and video increase in size exponentially. If your museum is fortunate enough to live within a good 3G reception area most of these assets will stream perfectly fine. Some buffeting may be required when streaming the videos, but they will launch after a few seconds of buffering. If your museum has an available WIfi connection you will need to run some tests to see how big of a broadband pipe you will need to accommodate the expected number of devices accessing content. You may have heard about the war going on between Apple and Adobe regarding the use of Flash on iOS devices. Flash has serious implications with battery life on all mobile devices causing the excessive battery drainage. A lot of museums have their videos tied to the Flash video codec which causes them to unusable with iOS devices. In most cases, these videos can be reformatted to a usable format. With the proliferation of mobile usage it’s time to start thinking about an Internet solution that works for your museum. This may take the form of an open public network or it maybe a network which requires the user to log into the network for access. It may require you to consider a new broadband line into your museum so that your are not leaving your office network open to attackers. There is a lot that goes into the creation of a mobile application, and while repurposing content may require some extra work for it to work in the mobile space, in the end it will save you some time and some money. Content is just aspect. There are technical needs to consider as well as a well thought out marketing plan to ensure that your app, and work that went into it, will be appreciated and utilized . Being prepared is the key to it’s success. February 20th, 2010 to the Blog Posts page. Alright – if you haven’t already heard – I recently ended my 9 1/2 year tenure at the San Jose Museum of Art as the Manager of Interactive Technology. It was a bittersweet event because at one point I felt that it was the greatest job I ever had. It was very fulfilling, creative, art related – it was perfect! I had struggled all my life trying to find a so-called “career” and felt that I had finally found it. Unfortunately, my hours were cut December of 2008 to half-time. This pretty much took the wind out of my sails. 20 hours a week was not enough to do the technology related projects that I wanted to do. Over the course of the last year, however, a great opportunity presented itself which I couldn’t pass up. During this period of working part-time I started consulting for a mobile start-up called Toura that is changing the way museums create mobile tours (more info forthcoming). After 5 months of fulfilling and exciting work with Toura they offered me a full-time position as Program Director. The company’s ideas and philosophies align very well with my thoughts on mobile technology and museums so it was a perfect fit. Since my website is so centered on the work that I did at the San Jose Museum of Art I thought it would be nice to go through and sum up what I feel are some highlights of my time there. First off, I’m extremely proud of winning two MUSE awards. One was for our Artist of the Week podcast that we did in 2006. We were so green at that point it came as a great surprise, but my colleague Lucy and I felt that we were producing a quality product and winning the award validated our efforts. The second MUSE Award, Gold in the category of PR/Development, came recently in 2009 for our Road Trip/Giant Artichoke video that we produced for the exhibition Road Trip at SJMA. It was the most fun we had on a project. It was a big departure for us from the artist centric audio and video content we had been creating. The narrative nature of the video required us to storyboard, film on location and really tighten up on our editing. The results were very rewarding. Over the years I’ve worked with a variety of mobile delivery methods for audio and video content. Cell phones, Video iPods in Notes-Only Mode, and lastly iPod Touch/iPhone. The iPod Touch tour we launched in 2008 was one of the first of its kind. While I realized at the time it was an important accomplishment, I didn’t realize how many doors and exciting opportunities it would open. Because of the launch or this iPod Touch tour, in September of 2008 I found myself at the Tate Modern in London presenting about SJMA’s mobile experiences to an audience of international museums. It was one of the most rewarding professional experiences I think that I have had to date. At the conference I met and befriended the most incredible and creative group of people. All have helped to shape my knowledge on the subject. Finally, I think my videography and editing skills hit a high point on one of my last big project for SJMA. For our Ansel Adams exhibition we solicited the general public to submit Ansel Adams inspired photographs to a special Flickr group. The images collected in that group were displayed in the Adams exhibition on an interactive kiosk. The main vehicle for this exhibition was a video that I shot in Yosemite. Shot in black and white the video features footage of classic Adams imagery cut with footage of visitors taking photos. At the end the question, “Are you the next great photographer?” is posed with instructions for submittal. The video has a sombre feeling and to me is reminiscent of the black and white footage in Woody Allen’s Manhattan (wishful thinking maybe). So now I enter the world of museum vendors. I have had nothing but a positive experience with Toura. It’s rewarding and exciting working with multiple museums to help them get their message and content out to their visitors. Toura is about enabling museums so that they can efficiently create mobile tours in a cost effective way – something that is important these days. While some vendors have a bad rap, there are some that are conscious of the financial burdens and internal struggles that museums face on a daily basis. My part at Toura has been and will continue to be the voice of the museum. You have viewed your allowance of free articles. If you wish to view more, click the button below.